Joulukorttia pukkaa :D Kuva on Pion Designin ja mielestäni leimasinteksti sopi siihen täydellisesti! Xmas card again :D Image is Pion Design's. Skates die is Marianne Design's and snow flake die is Joy!'s. What a beautiful christmas card! Lovely paper and picture and nice vintage accents! Thank you for joining us at WLVC! Your card is lovely. Thanks for joining the challenge at WLVC. 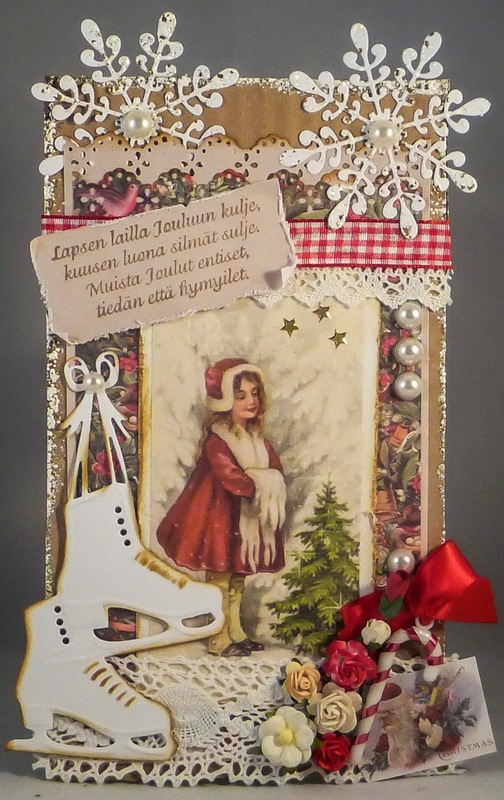 Such a beautiful vintage christmas card....Lovely! This is gorgeous and so pleased you joined us at Divas by Designs Anything goes challenge.